Blessing people through their music is something the Cornells have been doing for many years. Their commitment to love the Lord and each other continues to grow stronger. Their presentation touches the hearts of audiences wherever they go. Mike, Darla, and Patti sing and share their testimonies throughout the United States and the world. They have appeared in churches, conventions and fairs and have been fortunate enough to have had the opportunity to be in concert with some of the very best in Southern Gospel Music. 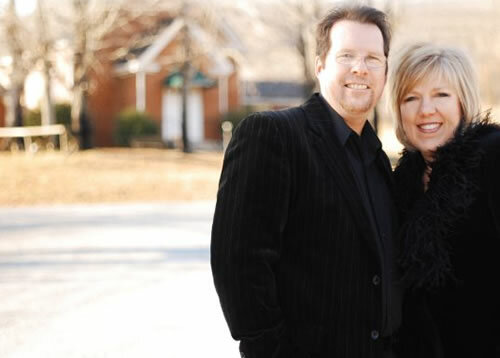 Most recently, The Martins, The Isaacs and Larry Ford, TaRanda Greene and The Hoppers. Mike is singer and song writer and also sings the lead as well as tenor and baritone for the group and is also the manager of the group. Mike has also been singing and playing gospel music from an early age when he sang his first song in church. He and his wife Darla have been singing together for over 30 years either as a duet or as part of many groups of which they had organized. Darla sings alto, lead and even soprano for the group her warm soulful voice brings a uniqueness to the group, and her genuine spirit of worship is evident on and off the stage. Darlas legacy of gospel music reaches back to her childhood as she sang and toured around the United States and Hawaii with her family group, The Robert Keith Singers. Darla has also been blessed with an anointing and ministry helping those who are dealing with anxiety and depression and has spoke at many venues and womens gatherings as guest speaker. Darla is married to Mike Cornell and helps manage the group at home and while on the road. Patti is not only Darlas mother but is no stranger to gospel music and her legacy includes sharing the stage with the gospel greats from JD Sumner and the Stamps, The Hinson's, The Tally's, The Weatherford's and many others. She has also had the honor to perform at the mother church of country music, the historic Ryman Auditorium. Patti brings not only warm heart felt vocals to the group but also a spirit of prayer and outreach to those she comes in contact. The Cornells travel extensively in the United States and around the world, specifically to South Africa where their ministry has impacted tens of thousands through their concerts and services. They travel for one goal and that is to see souls saved, seeds planted for harvest, and Christians uplifted. With rich family harmony, lively energetic style, humor, and love for God, they encourage and uplift people wherever they minister.